This is the Police 2 is the sequel to the first game in this series and follows Jack Boyd yet again, now hiding from the Feds and other less lawful organizations. 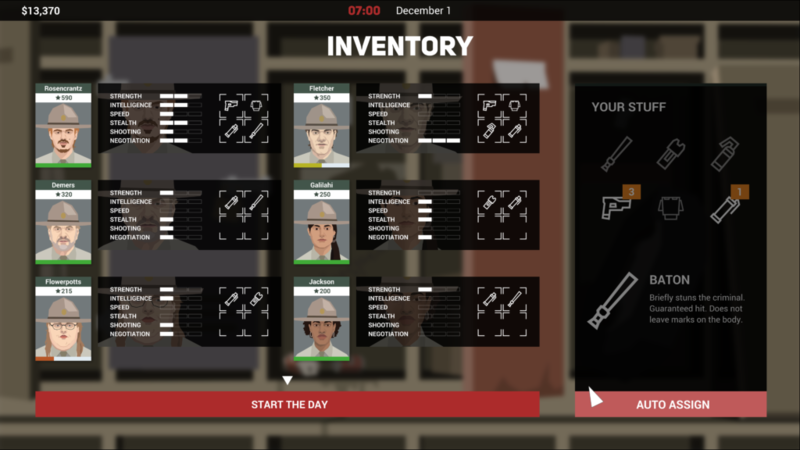 Offering a combination of making choices, sending your policemen to crime scenes and guiding your police force in tactical operations, this game features a variety of things to do each day. The story in This is the Police 2 is told in days. Each day, certainly in the beginning, some conversations of the story will be shown. Mostly, all these conversations are shown in pictures. Sometimes, a small video will be shown. It tells the story of Jack Boyd after the happenings in the first game of this game’s series. Jack Boyd is an ex-cop and is wanted by the feds for the things that happened in the first part of the game series. He is hiding in the town of Sharpwood and at a moment, will be taken into the custody of the local Sherriff’s department. Somehow he talks himself into helping the new Sheriff, Lilly Reed. Sheriff Reed is not an experienced Sheriff and after taking heavy losses like the death of the previous Sheriff and her closest ally, she agrees to take the help of ex-police chief Boyd. As the stand-in for Sheriff Reed, you need to interpret the law as you see fit. Will you allow corruption to fill your department, or not. In This is the Police 2, it’s obvious that graphics aren’t the most important thing. The conversations are not animated but just show pictures while people are talking. Most of the time, the people on these pictures have no faces. 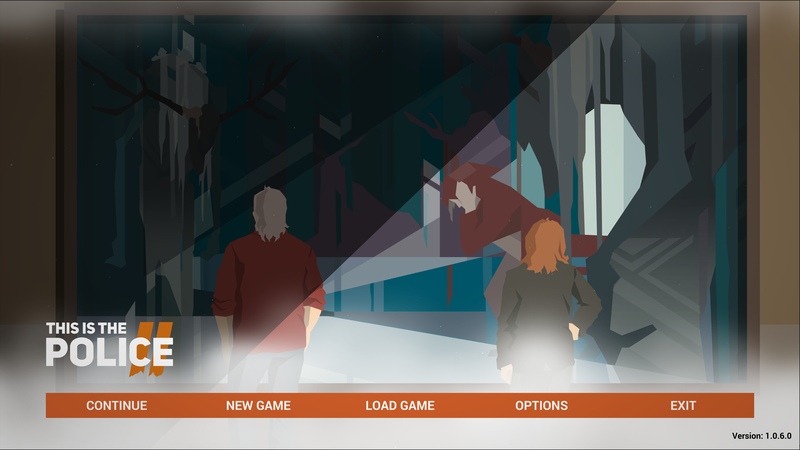 Mostly, you’re playing in menus, a map showing the town of Sharpwood or a 3D overview of this same town. When you send people out to incidents, you will see the police car moving through the streets to the place of the incident. All incidents are also viewed in pictures with an explanation about the situation. The sound in This is The Police 2 is well chosen and fits the setting of the game. Police sirens and other police related sounds all fit the picture. When you’re answering calls on the map, a jazzy type of music will play. When a situation appears, the code belonging to the incident will be called, giving you a limited time to react. 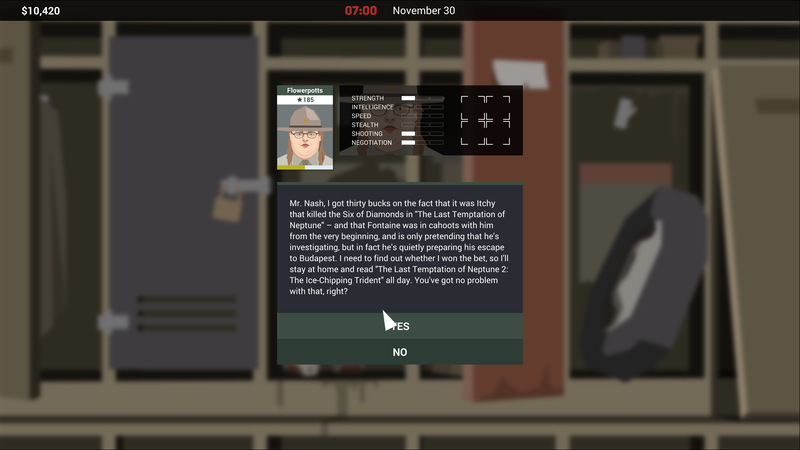 This is the Police is an Indie strategy game. 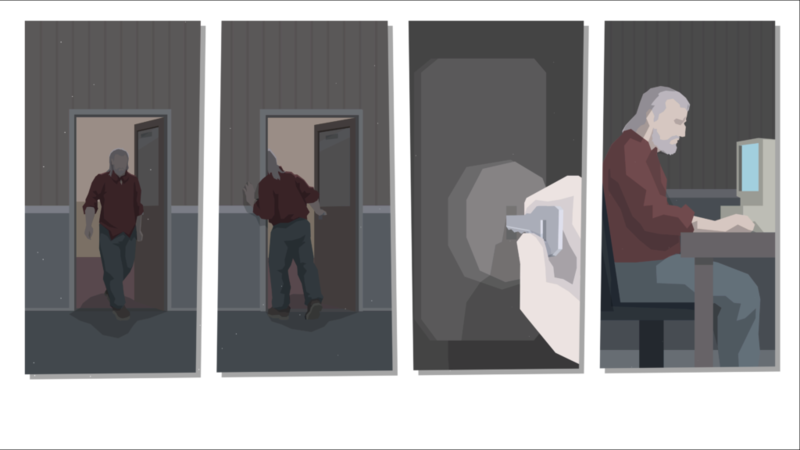 The game begins with a bit of story about the recent happenings around Jack Boyd. He gets arrested and taken into the custody of Sheriff Reed. After some talk, you are going to help her run the police department in Sharpwood. Each day begins with some questions your policemen have to ask. Some will have drank too much and won’t come to work. Some have special reasons to take a day off of work. You need to answer these questions and overthink your answers because if you let too many people go, you won’t have enough people to get through the day. By letting them go, you can earn their trust and they will work overtime. After this, you begin assigning gear to your police squad. Handcuffs and guns will always be in the inventory of your policemen. Taser guns, taser cartridges, police batons, shockers, pepper spray and stun grenades are optional gear that you have a limited supply of. You need to assign these to your policemen before the day will start. This optional gear can be bought by spending beer can tabs after completing a day. After assigning the gear, the day will start and you will be taken to a 3D-map of the town of Sharpwood. Your squad will be shown in the lower area of the screen and they all have a stamina bar. When this bar is empty, people will reject your assignments to a job or fall asleep while on the way to a job, hurting themselves in a car accident. When people get hurt, they need to spend some time in the hospital before they can be used by you again. 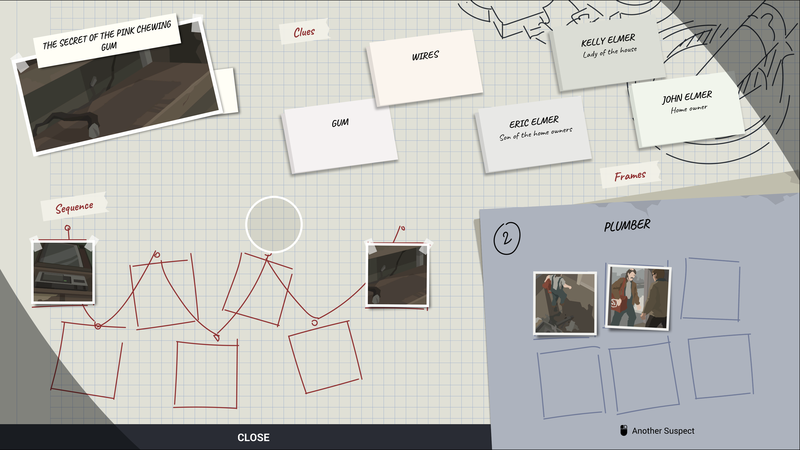 On the map, crimes will appear with an explanation about the situation. Based on this explanation, you need to send officers to the crime scenes to solve the problems there. These crimes vary from petty theft to attempted murder. Assigning the right officers with the right skill is important. If you don’t, your officers could fail and get hurt or even get themselves killed. 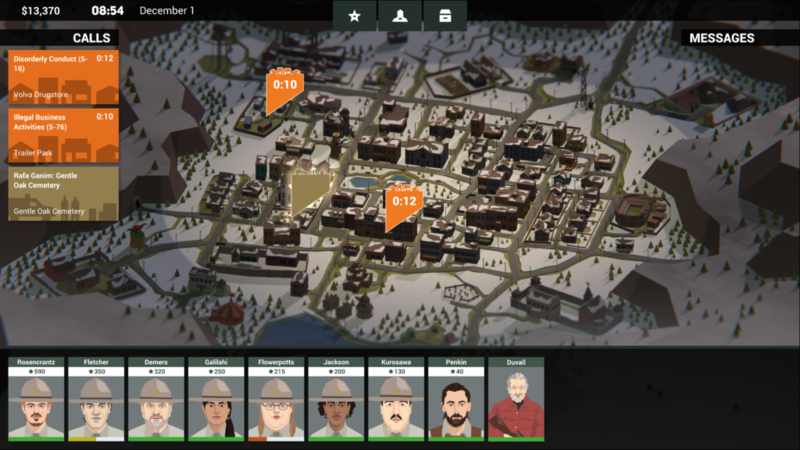 For every crime solved on the map, the assigned officers will rise in rating and get points. These points can be added to skills. These skills are strength, intelligence, speed, stealth, shooting and negotiation. Adding a point to one of these skills unlocks perks that can be used in tactical operations. Tactical operations will occasionally appear on the map. These don’t have a time limit and can be delayed until the end of the day. You just need to make sure you start them before 01:00. In these tactical operations, you need to guide you policemen to apprehend all the criminals at the crime scene in a turn-based battle. You need to sneak to the criminals and try to apprehend them while your cops are not getting hurt. You’ll get beer can tabs for both killing and arresting criminals. But watch out as the criminals can have back-up everywhere. If you don’t pay enough attention, your cops are easy targets and will most likely be killed. you’ll also lose tabs for killed cops in addition to the fact that he or she is dead. By making sure you have a big police force at the crime scene you’ll have an advantage over the enemy. Stopping all the criminals will lead to you getting a big reward in tabs. Sometimes an investigation will rise and you need to solve it. Every day, you can assign officers to investigate until you feel that you have enough information and evidence to solve the case. Mostly these cases have two scenarios that you can choose from, leading to two different suspects. You must choose which suspect is the right one, based on the intel you’ve got. At the end of the day, a glass will appear on the screen and it will be filled with beer can tabs, according to the amount of good things you’ve done. For letting suspects get away or cops getting killed you’ll lose beer can tabs. If you lose more beer can tabs than you have earned a day three times in a row, Sheriff Reed will feel obliged to call the feds and turn you in. So you have to do an adequate job. After gaining these beer can tabs you can spend them on new officers and more stock of the expendable equipment. Sometimes random people will show up and ask you favors or offer to do things for you. These can be profitable for you but watch out! This can lead to bad relations with sheriff Reed or can have other bad results. For example, an old lady has offered to clean the police station at no cost because she admires the work you are doing. You let her do her thing and the next day, your best cop will notify you that he saw her cleaning at the office and had no doubt in proposing to her. She accepts and now you have lost your best officer because he now decided to quit! So the most innocent things can have the worst result. Don’t let any old woman clean the police station or you’ll regret it! 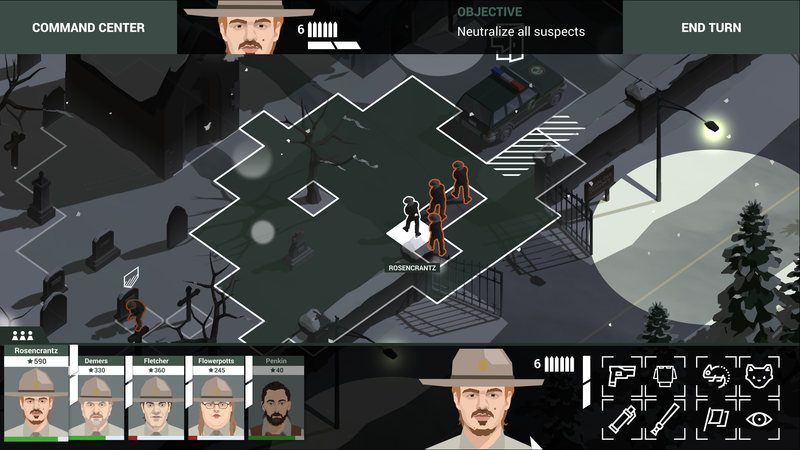 This is the Police 2 is a strategy game that makes you choose which cops to send to which crime and in the tactical operations provide a turn-based battle in which you need to choose your strategy well to apprehend all the criminals while avoiding casualties on your side of the playing field. These tactical operations can turn out to be challenging and you can fail with one single mistake. All the cops have their own wills and many will have a lot of excuses to stay away from work. Try to protect the town of Sharpwood with the police force under your control. If you like games that need you to think strategically and tactful, then this is definitely a game for you!